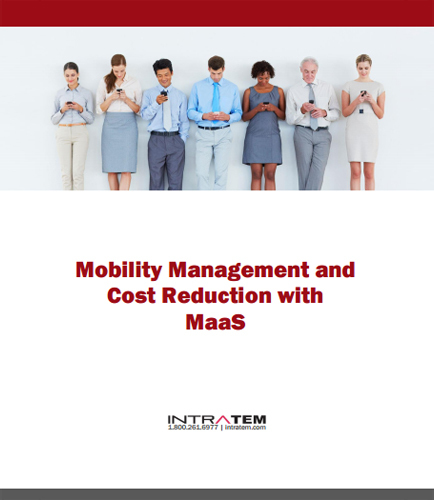 "Mobility Management: The Importance of MaaS"
In Mobility Management, Mobility-as-a-Service means total control over devices and user patterns while reducing costs by adopting standards and procedures for effectively managing your wireless service and expenses. Mobility-as-a-Service goes beyond software tools to help you organize your workforce. Mobility management along with Mobility-as-a-Service simplifies mobility rollouts and supports ongoing management . To uncover the most savings on an ongoing basis, it is important to partner with an experienced mobility management provider that offers a full range of proven services, including Enterprise Mobility Management. What are the most important services your Mobility-as-a-Service provider must offer? How can you securely manage smart phones and tablets with a complete enterprise mobility management platform? What kind of benefits Mobility-as-a-Service provides to the users, businesses and the public sector? How Mobility-as-a-Service progress can be achieved, using the various steps identified by mobility management? What are the things to consider when selecting an Effective MasS Partner? The connection between mobile app adoption and Return on Mobile Investment (RoMI) is intuitive – what good does it do to build the most useful and compelling mobile apps if they’re not consistently used? RoMI can be defined as the ratio of the quantifiable benefit enabled by mobility divided by the dollar value of the mobile investment itself. Download this insightful whitepaper on “Enterprise App Adoption,” that will help your organization maximize its Return on Mobile Investment (RoMI) – by building apps that employees actually want to use, ensuring a high adoption rate. In this whitepaper you will receive: Useful templates to promote greater awareness and ultimately a better return on your organization’s mobile app investment The Mobile Application Adoption and Internal Marketing tool kit Useful tips on how to drive adoption of your mobile apps End-user perspectives and best-practices from enterprise mobile app adoption experts Read this whitepaper to learn how to improve your organization’s RoMI through fostering mobile app adoption best practices.